by Mark and Patti Virkler | 5 books | 1 Notebook | 3 CD sets | 3 DVD sets | Save $39! So you just encountered the Holy Spirit in a whole new way, and now you want to deepen your spiritual sensitivity and release of His power? How do you go about doing that? First of all, you want to clearly and biblically define living by the Spirit. Secondly, you want to press into intimacy with the Holy Spirit with understanding and persistence. Be s(S)piritually sensitive, attuned and empowered! The Amazing Wonder of Life Lived by the Holy Spirit! 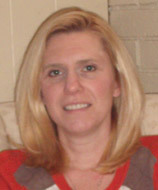 How the Naturally Supernatural Training Materials Bring You into the Abiding Lifestyle! Naturally Supernatural Training Materials Includes ALL These Amazing Resources! You choose to live comfortably in your heart/spirit which is joined to the Holy Spirit. 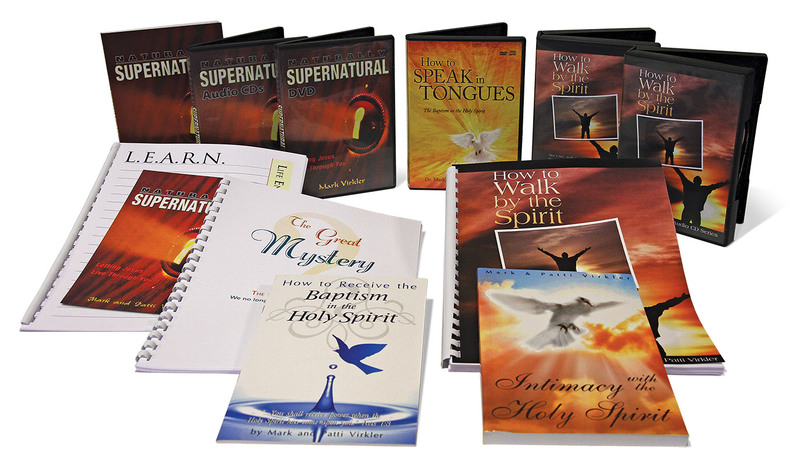 How to Walk by the Spirit Training Materials Includes These Resources! These are ideal for focused learning with the How to Walk by the Spirit book and for use in classroom settings. They are identical in content to the CDs. For maximum results, draw together some friends into a home group or Sunday school class and watch the DVDs over a 9-week period. Practice what you are learning weekly, sharing your results together. The DVDs bring an anointed trainer to your group, and your interpersonal sharing gives you instant feedback and confirmation that you truly are learning how to sense your spirit and walk by the Spirit! An unbeatable combination. Extremely practical steps to moving in the supernatural! Presented by a left-brain teacher who fought to learn to sense his own heart. Mark can explain clearly what the obstacles are and how to overcome them. Mark lays out precise simple steps to take, which you can easily follow. Utilizing this training bundle (DVDs) allows you to easily facilitate this transforming experience with a group of your friends. 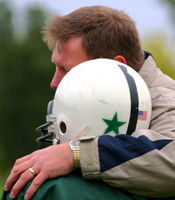 Review the principles over and over as you drive, work or exercise, until you internalize them. DVDs are 27 minutes long. Perfect length for a small group, allowing you to learn and then PRACTICE! Baptism in Holy Spirit booklets are only $1 each. Inexpensive enough for you to use as a free handout for those seeking to receive the baptism in the Holy Spirit with the evidence of speaking in tongues. The Baptism in the Holy Spirit Focus Includes These Resources! This brief booklet walks a person through the main obstacles to speaking in tongues, and shows how each one can be successfully overcome. It is down-to-earth, practical and biblical, and in it Mark Virkler shares the struggles he went through before he was able to speak in tongues. Some were theological issues and some simply practical issues, like the fact that if I am going to speak in tongues, I will need to speak. Otherwise, nothing happens. Four views on the value of speaking in tongues are presented, and you are encouraged to develop your own understanding of the biblical view. Also included is a chart comparing the three baptisms in the New Testament: the baptism into the body of Christ, the baptism into the Holy Spirit and baptism into water. Finally, there is a brief theological overview of the three different workings of the Holy Spirit in the believer's life: the Holy Spirit indwelling the believer at the point of salvation, filling the believer when he is yielded to Him, and erupting into an overflow up and out of the believer in the baptism in the Holy Spirit. These three works of the Holy Spirit are explored biblically, then compared in chart format. Practical, biblical and spiritual are the three key words to describe this booklet. This teaching will free you from rationalism and release you into Spirit encounter. You will find it life-changing! Pass copies out to your friends. Use them in home Bible study groups or Sunday school classes. We have priced it inexpensively enough for you to give it away to those hungering for such an experience. We recommend it be given at the altar to those seeking the baptism in the Holy Spirit and as a congregational handout when you are teaching on the baptism in the Holy Spirit. Our goal is that everyone seeking the evidence of speaking in tongues, receives it. This tool is designed to ensure that happens. We have seen people who have sought for the gift of tongues for over a decade immediately receive by reading this book. "I believe this book will be used greatly to: 1) open hearts of rational Christians to the possibility they have been deceived and kept from entering into the abundant supernatural life promised by Christ, 2) bring mature understanding regarding the work of the Holy Spirit to the charismatic and pentecostal movements, and 3) help answer the question, 'I have been baptized in the Holy Spirit, now what?' I also expect it to be an excellent tool to aid in bringing seeking Christians into Holy Spirit baptism and the gift of tongues. "This booklet will help the average believer allow the Holy Spirit to baptize him and to release him in the gift of tongues, which is, practically speaking, a foundational gift that helps one get released in and operate in all other gifts of the Spirit. Dr. Virkler's experience of speaking Portuguese as the Spirit released him in the gift of tongues is fascinating, and as always, the principles seen in Scripture of letting go of the rationalistic control of one's mind and flesh and of tuning to Spirit-flow while stepping out to speak in tongues are very helpful." Speaking in tongues involves a miracle wherein you yield your vocal cords to the flow of the Holy Spirit, trusting that God is forming the syllables you speak into a language. It may be a language of men or of angels (1 Cor. 13:1). You choose to speak (Acts 2:4) but you choose not to form the syllables consciously, and instead let the Spirit give the utterance (Acts:2:4). The goal of this short teaching is to help people understand the part they need to play and the part the Holy Spirit plays when it comes to the miracle of speaking in tongues. This will help a person receive their "breakthrough" into the realm of the supernatural. It is all very simple and childlike, as all of Christianity must be in order for it to be available to everyone. 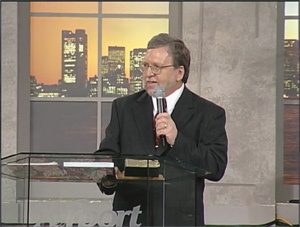 Experience the life-transforming impact of building up your spirit through speaking in tongues (1 Cor. 14:4). This book leads you in meditating on and journaling about several hundred verses that discuss the Holy Spirit. You will grow in intimacy with the indwelling Holy Spirit, and the anointing within you will increase! You will exclaim as the disciples did on the Emmaus Road “Did not our heart burn within us…while He opened to us the scriptures?” (Luke 24:32)! 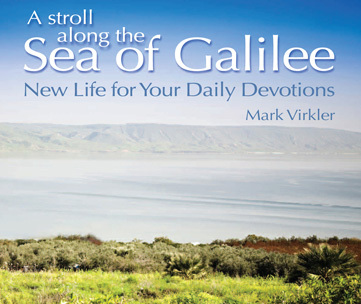 In addition to being led to journal through these verses, you will read numerous two-way journal entries from Mark Virkler, as well as a five-page prayer at the conclusion of the book. How is the "Intimacy With the Holy Spirit" workbook structured? Why explore the working of the Holy Spirit in our lives? How do I do two-way journaling? What are the steps to meditating on a Scripture verse? Then we provide you 170 pages of workbook where you meditate on 170 verses about the Holy Spirit. a two-way journaling question, and a place for you to record your response. So for your morning devotions for several weeks or months, you prayerfully meditate through these 170 verses and record what God is speaking to you, all the time moving into a more intimate awareness of the working of the Holy Spirit within your heart and spirit! People ask us, "What are good journaling questions?" This book gives you 170 pages of great journaling questions! Enjoy it as you get to know the author of Scripture by letting Him speak to you! “Holy Spirit, I come to You. I choose to walk in obedience and faith, as these are Your requirements for receiving Your abiding presence. You flow freely when I live in love and unity with others and when I seek to build others up. I choose to be diligent to maintain the unity of the Spirit in the bond of peace. I will let people lay hands upon me to receive Your indwelling and anointing. Holy Spirit, I come to You. “Holy Spirit, come. You drew me unto salvation. You grant me intimacy with God. You make me a temple of God. Holy Spirit, I seek all Your works in my life. Please indwell me, fill me, flow out from me and pour Yourself out upon me. I consciously welcomed You into my heart at the point of my salvation. I was baptized by You at the point of time I yielded my outer faculties from self control to Your control and asked for and sought Your empowering. Perhaps nothing is more powerful than journaling through Scriptures. Make this book your daily devotional for a period of months. Journal through Scripture, letting the Holy Spirit grant fresh revelation and inspiration to your heart. Come alive and burn with the fire of God within!